Internet has made life easier, be it shopping, banking, medical or entertainment, you’ve got it ready to serve for you within a few clicks and taps. But, nothing comes for free and almost everything requires you to pay for it online. Although, most of the payment gateways and merchants have obtained security certificates to calm you down at the payment page, however, some experiences may still turnout to be a nightmare. With a surge in cybercrimes and identity thefts, it is hard to trust any page that asks for your personal details. Sometimes, it is too late to realize that you’ve been swindled or have lost your identity to someone. At times, you may bear the loss of money, but can you imagine of being prosecuted for a crime you never committed? Well, this is one of the most common transgression that’s been happening over the Internet. It is important that you know more about scams and felony being practiced so that you can ensure your safety. Today, we’re going to elaborate identity theft to help you strengthen the shield of security. Identity theft is a criminal offense under the Identity Theft Assumption Deterrence Act of 1998, where an imposter gets the key of personally identifiable information (PII) of a person. The PII may include Social Security Number (SSN), a driver’s license, arm’s license, banking information, email ids and passwords, social networking credential and even the credit/debit card information. Once the confidential information is stolen, it can be misused by the scammer in different ways. The person may get a loan under your name, your social networking credentials may be used for all the unethical/illegal practices, you may also lose your lifelong savings from the bank account in no time or it may be worse than these as well. The fundamental purpose of stealing your identity is to misuse the powers and your rights to gain any type of profit. The person may seek your information for different reasons based on the piece of data he’s targeting to steal. Stealing your personal/private information that is intended to be known only to you is called identity theft or identity fraud. How Do They Scam You? Internet is an ocean of opportunities and it applies to both the parties i.e. scammers and victims. One of the most common scamming method is the phishing page, where you can’t differentiate between a fraud and a legit website. A phishing website is a notorious way of getting your credentials like your bank’s username and password and credit/debit card numbers. It may also resemble a legit government website that claims to giveaway some money under some govt. scheme to seek your SSN, driver’s license and bank details. Scammers may use multiple ways to redirect you to a phishing page. It may include emails, SMS or hyperlinks within a secured website. If you’re on a website that you don’t recognize or have doubts about, it is important that you check for the SSL/TLS certificate in the URL. However, absence of SSL/TLS certificate doesn’t make a website fake. A fake website may also contain some meaningless characters in its URL or you can see a “Not secure” sign in red color. What is The Frequency of Identity Theft in The U.S.? As far as the frequency is concerned, 19 citizens become victim of identity theft every minute, whereas some sources claim that every 2 seconds there’s a new identity fraud in the U.S.. According to a report released by Javelin Strategy & Research, $107 billion have been stolen in six years (2011-2016). They‘ve found that approx $16 billion were stolen from a whopping 15 million US citizens in the year 2016. Even after introducing the chip-based credit/debit cards, the scammers used the stolen identities to get a card issues under the victim’s name and other stolen information. According to a report by Insurance Information Institute, The Consumer Sentinel Network, which is maintained by FTC (Federal Trade Commission) revealed that 1.3 million complaints were related to fraud that costed $744 million to the consumers. It also stated that the median amount consumers paid in these cases was $450. As the Consumer Sentinel Network tracks consumer fraud and identities theft issues and complaints that have ever been registered with federal, state and local law enforcement agencies and private organizations, it also revealed that 13 percent of all the complaints were related to identity theft. Below is the report that presents the identity thefts that occurred in 2016 in the US state wise. How to Know if You’ve Lost Your Identity to Someone? If you’re being denied for credit or getting less credit limit for no apparent reason, it may be a sign that your identity has been compromised. If the imposter has overtaken the charge of your identity, he might end up changing the billing address and other modes of communication. This in turn would resulting in no bills/letters in your mailbox. If you’re getting charged on your card for the purchases you never made. If you see any communication regarding any unauthorized transaction from any of your account with the bank. One of the biggest signs to identify an identity theft is the rejection of your tax e-return. It happens when the scammer files a return under your SSN to get a fraudulent refund. If you get notifications regarding data/privacy breach from the party with whom you do the business/job. 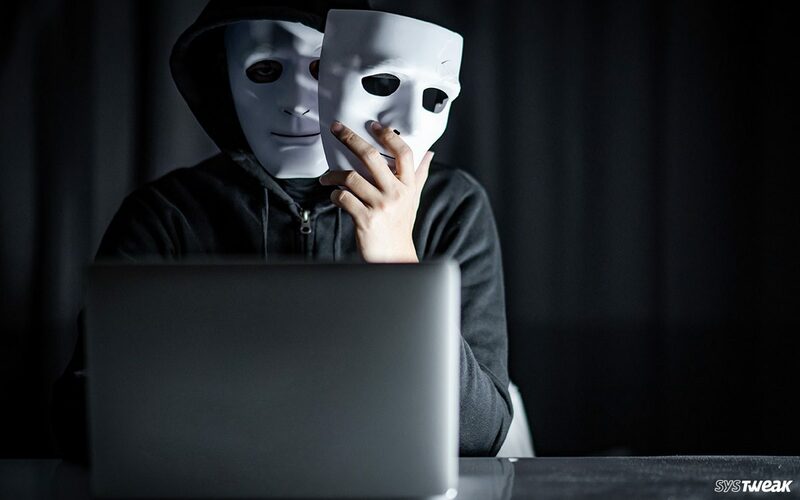 There may or not be any sign of being a victim as identity theft is among those few scams where you don’t realize it even after a long time after you’ve been scammed. Inform the police: It is your fundamental duty and right to inform the police that you’ve been scammed or your identity has been stolen. Getting a police report helps you further with the process of investigation. Make sure you provide all the necessary documents along with the ID that has been stolen. You may also provide the police with the cover letter given by FTC. Contact FTC: Once you find out that an identity fraud has happened with you, call the FTC at 1-877-382-4357 and inform them about the incident. You must also fill the ID theft form with an affidavit online. The ID theft affidavit registered with FTC helps you request the companies to have you removed from being responsible for any fraud that took place after the fraud. Freeze the credit reports: If you find yourself stuck with an identity theft, request the credit report organizations to put a freeze on your credit records. It helps spreading the credit record under your name to reach to new creditors. Generally, it costs around $10 per organisation but if you provide them with the proof of being scammed, you may get it for free. Also, put a fraud alert on your credit report by contacting any of the three credit reporting agencies. The alert lasts for 90 days but can be extended by providing them with the police report or the FTC ID theft complaint form. Notify bank and credit organizations: It is important to keep your bank and the credit card company to keep in loop. You must inform them on priority basis and provide them with all the proofs available with you. You may also provide them with the police report and the ID theft complaint form & affidavit. It helps them to stop sharing your credit information and records with the credit agencies as well as keeping a close eye at the transactions. Change the passwords and PIN: You must also consider changing the passwords and PIN for your social media accounts, emails, banking, credit/debit card and anything relevant. It would help you limit the losses that may occur under your name. Advanced Identity Protector: Advanced Identity Protector or AIP is one of the most effective ways that scan your machine for identity traces and other hidden personal information. All the found items are displayed based on categories that allows you to easily differentiate useful information from the useless one. It also allows you to lock the important traces such as social security numbers, credit card details, contact information etc. in the Secure Vault and delete unnecessary ones. Apart from identity traces, the tool goes ahead and scans all the areas of your system thoroughly. The reason to scan specific areas is because your confidential information gets accumulated and stored in browsers and sometimes in the Windows Registry too. This information may include your credit/debit card, email id, passwords, SSN and much more. If you lose the control of your computer or someone hacks it, the information gets compromised.One of the biggest reasons of identity theft is the information saved on your browser. When you’re on your banking website, govt websites or any page where it asks your ID, you don’t realize that the information is also getting recorded. Advanced Identity Protector offers a vast coverage that includes securing your identity traces and other confidential information on almost all the web browsers, Outlook, Outlook Express, documents and files like PDF/DOC, registry etc. Two Factor Authentication: Two Factor Authentication is an added security layer that double checks your attempt to login and transactions. When you enable the 2FA (two factor authentication), you receive an OTP (one-time password) on your registered mobile number or email id or both. When you put the received code in the required field, the transaction or login attempt goes successful. Many banks and email clients have made 2FA compulsory with the increasing cases of cybercrime. 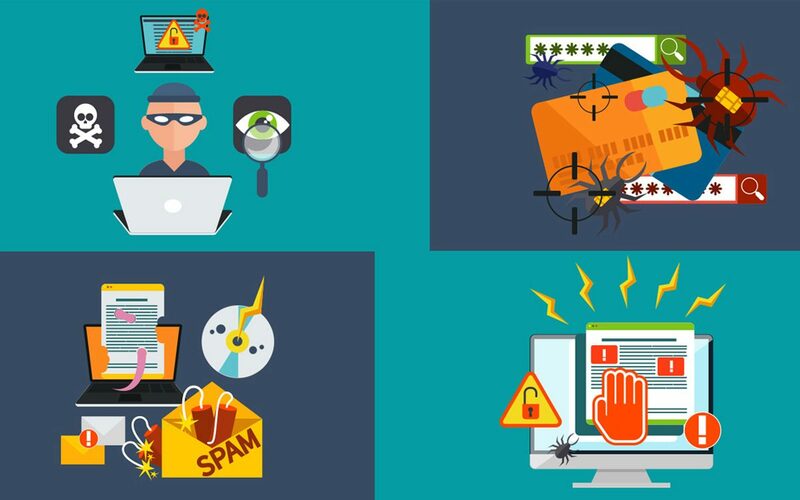 Educate yourself: Educating yourself with latest technologies, risks and prevention is another great way to avoid identity theft. The basic principles like not entertaining unsolicited calls and emails, not clicking hyperlinks, and not visiting malicious websites must be followed. However, there are times, when you can’t see the risk around and click on malicious links. Overall, identity theft is ubiquitous that requires a lot of attention. Although, there’s no fool proof security apart from the identity protector software that are designed specifically to ensure the safety of your identity. It is also important that you keep your computer and yourself updated with latest technology and threats. Make sure you don’t put your private and banking information on any unsecure website as it may be at risk. Also, do not let any person control your system remotely or physically without verifying the authenticity. If you know some more ways to avoid identity theft, do let us know in the comments. How to Disable Face Recognition from Facebook Account?